We are taking inspiration from Clyde and Film City Glasgow are working towards becoming a Cycle Friendly Employer. Not only that, we are taking further leaps and becoming a Cycle Friendly Building!! Links to city cycling maps. Cycle friendly building map and signage. 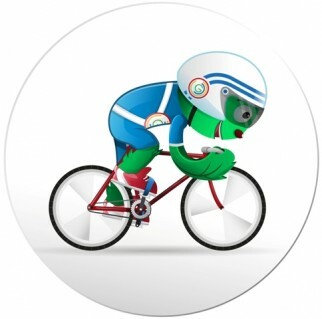 Cycling events including; bike doctors and cycling lessons. Access to bike fixing lessons. Access to discount for purchase on new bike. Access to trial bikes for potential cyclists. Creating a designated wet room, for cyclists to hang wet clothes. Supplying communal bikes for building users to borrow to cycle to city wide meetings.